R&D spending is rising on a global basis. In 2016, estimated spending for the 34 countries that make up the OCED grew 2.3% to $1,266 billion at current prices and purchase price parity (PPP). At well above this growth rate, Hungary made tremendous gains in R&D spending in 2017, according to figures released last month by the Central Statistical Office. 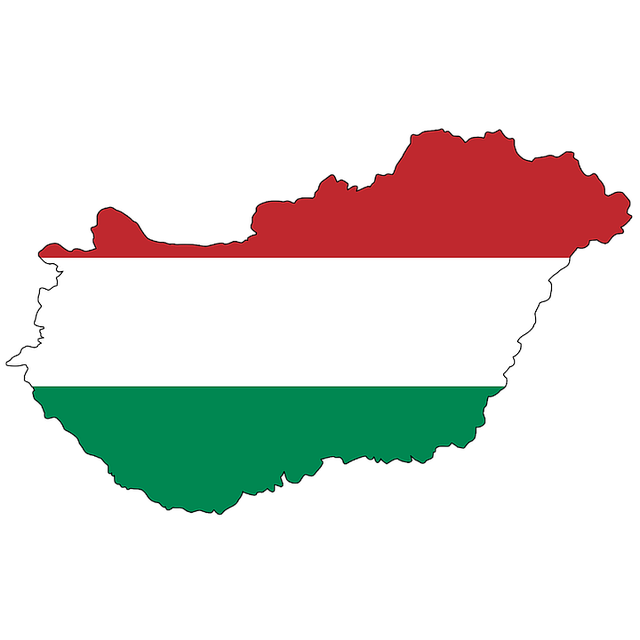 Hungary’s 2017 R&D spending grew 21.1% to HUF 517.258 million ($1,811 million at 285.6 = $1 ). Between 2016 to 2017, the country’s R&D as a percentage of GDP rose from 1.20% to an estimated 1.35%. As a source of R&D funding last year, government’s contribution leaped 47.1% to make up 32% (see chart below). Although also growing double digits, business spending, the country’s largest source of R&D expenditures, increased at a slower rate, increasing 13.0%. And while foreign sources’ R&D spending was up 8.6%, other domestic spending fell 10.5%. 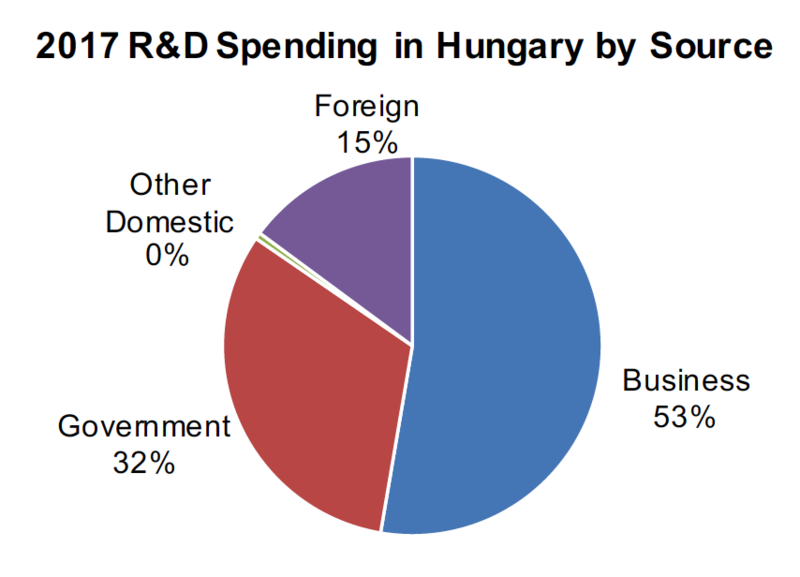 Hungary’s R&D headcount also showed a double-digit jump last year, rising 11.5% to 60,932. Total R&D staff as a percentage of population improved to 0.91% from 0.82% in 2016. 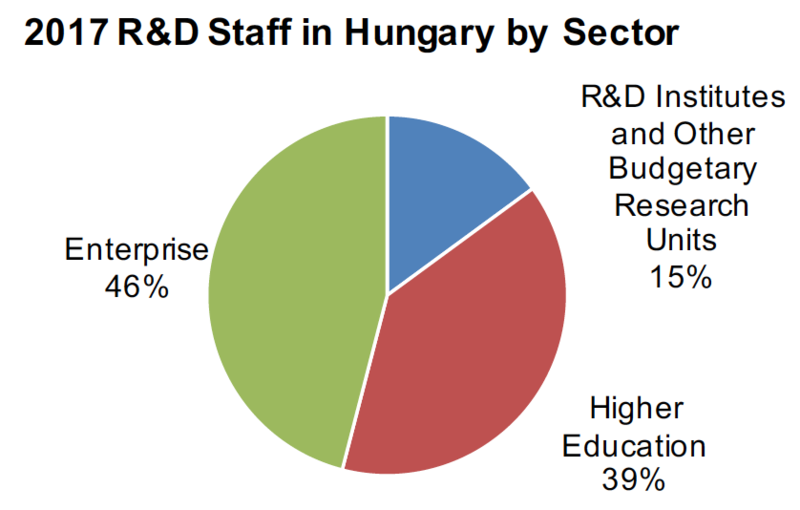 For the business sector, which employs the largest share of R&D staff at 46% (see chart below), R&D personnel rose 20.0%. 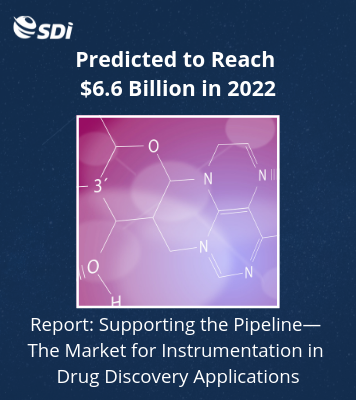 The number of R&D staff in higher education also increased, up 8.4%. 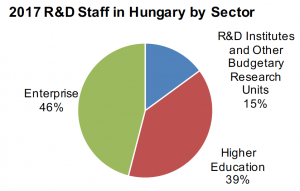 But the number of staff at R&D institutes and other budgetary research units dropped 2.4%. The change in R&D headcount in 2017 likely reflected the increase in the country’s total number of research and technology institutions. This figure increased 14.0% last year to 3,109.